Less than a week since its debut, "Fuller House" has been renewed by Netflix for a second season. 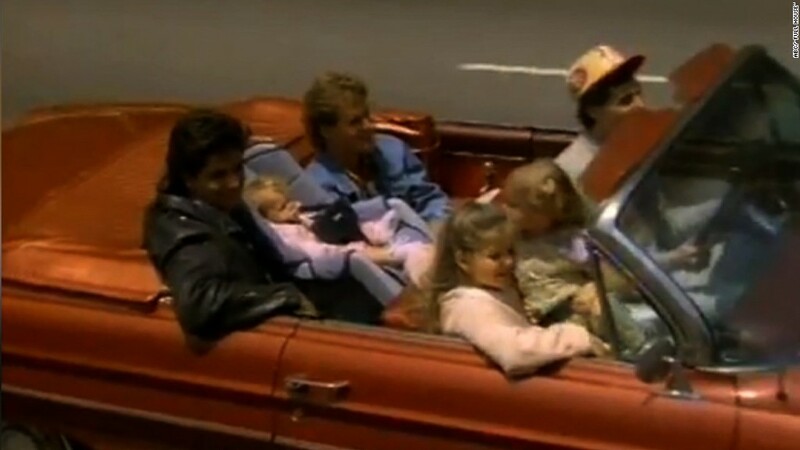 The show, a revival of the popular sitcom "Full House," premiered on February 26 to a warm reception on social media. "Fuller House" centers around D.J. -- the eldest daughter in the original show. She's recently widowed and has three young sons. Her sister, Stephanie, and her best friend, Kimmy, move in to her house to help her raise her kids. Many of the original show's cast members reprise their roles, including John Stamos as Uncle Jesse, Lori Loughlin as Becky and Bob Saget as patriarch Danny Tanner. The show is the latest in a slew of remakes from the '90s, including "Gilmore Girls," "Coach," "The X-Files" and "Boy Meets World." "Fuller House" received mixed reviews from critics but viewers seemed to generally like it. While Netflix (NFLX) doesn't reveal viewer data, social media users rejoiced over the news about the second season. A tweet announcing the renewal on the "Fuller House" Twitter (TWTR) page was favorited and retweeted over 7,500 times an hour after it went live.